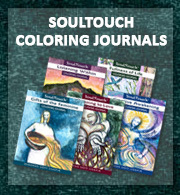 From March 1st through April 12th, Maine artists and Touch Drawing practitioners Helen Warren, Debra Windy-Horse Holloway and Jennifer Wadsworth along with seven others shared the ways in which Touch Drawing has inspired, nourished and deepened the creative process for each of them. 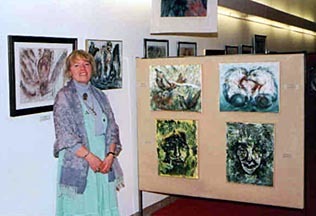 The exhibit included pure Touch Drawings as well as those that had been embellished with pastel, oil, watercolor and collage. 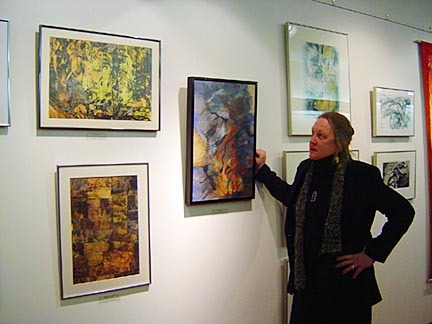 It also included etchings and larger paintings that were inspired by or are extensions of the original process. Touch Drawing as a part of my overall creative process is a place in which to experience the most amazing and authentic reflections of the energies present within and around me at the moment of drawing….the creatures, tree people and ancient sacred ones. It is, therefore, a place of deep healing and of affirmation for my deepest knowing. 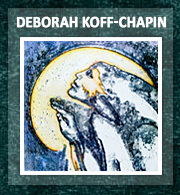 I am so grateful to Deborah for gifting us all with this profound and magical process! 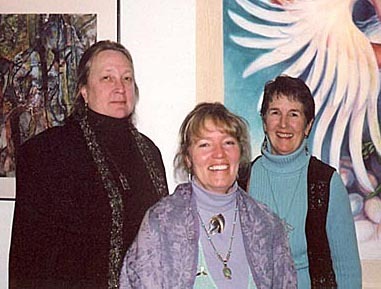 As a healing arts practitioner I work with energies. 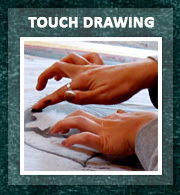 Touch Drawing is a visual expression of these same energies manifesting and communicating in infinite visual images. When I Touch Draw I am tapping into that Universal Source that informs all creation. The process is truly empowering, healing and inspiring. 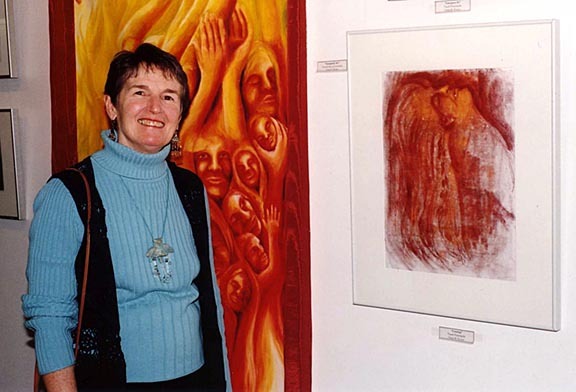 My art invites the viewer to engage with the work through their own interpretation of the imagery, and more importantly to the engage in the energy and emotion of each piece. I hope my art will touch that deep place of remembering our sacred connection to all creation, helping to heal the divide between ourselves, nature and spirit. 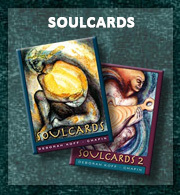 Thanks so very much Deborah….and I join the many who are soooooo grateful to have this creative process in our lives!!! I integrated Touch Drawing into my creative process several years ago. The images are the result of my connection to the energy and rhythm of the present. I use fabric and canvas as tissue is used in the Touch Drawing process and then I embed the paint in the fabric. By using many thin layers of pigment I develop the images from my imagination. My goal, to share the experience of my creative journey, is achieved when friends and strangers engage in a visual conversation with my work. This series of “masks” illustrates my inner hopes and fears in an outer recognizable expression which felt safe. The 2 year journey began as a Touch Drawing workshop and ended by exhibiting my vision masks in this exciting show in Portland, Maine.